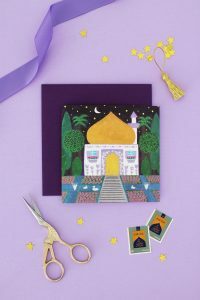 Simple Ramadan Rice Krispies – Hello Holy Days! 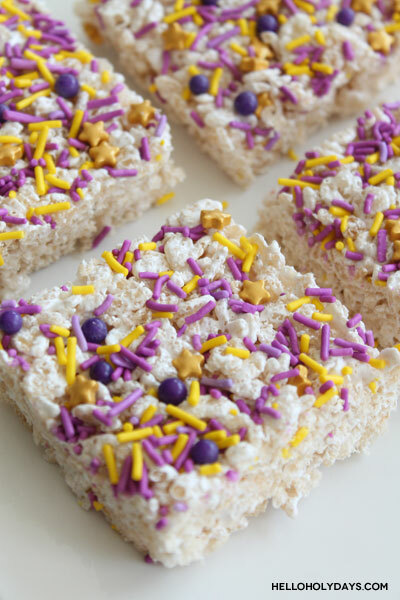 One of my favourite things when I was a kid was rice krispie treats. Back in the 90’s when my family didn’t know the gelatin in marshmallows was a commonly derived pork product, I loved devouring rice krispies. I particularly loved holiday themed rice krispies. I remember once for a Christmas potluck at school, one of my classmate’s mom brought in rice krispies squares with red and green sprinkles. Although it was so simple, it felt so festive and I loved eating it. 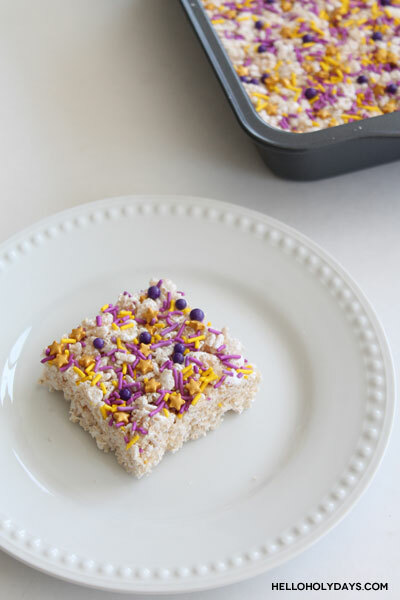 Inspired by that childhood memory, today I’m sharing a recipe for simple Ramadan rice krispies using a mix of purple and yellow sprinkles – the colours of Ramadan! 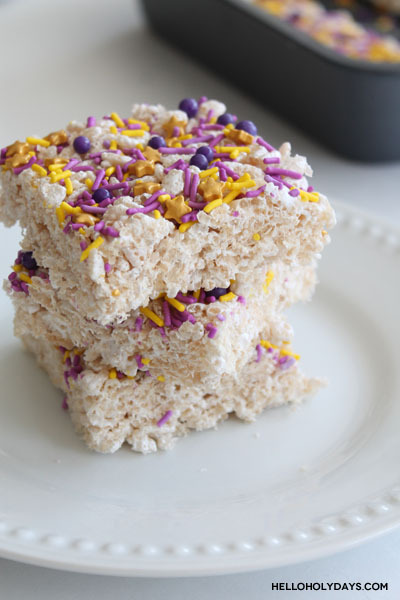 In a small bowl, combine all your different type of purple and yellow sprinkles to make a custom sprinkle mix. Make rice krispie squares according to directions on cereal box. When using a jar of marshmallow fluff, I use 5 cups of cereal as opposed to the 6 cups listed in the original rice krispies recipe. 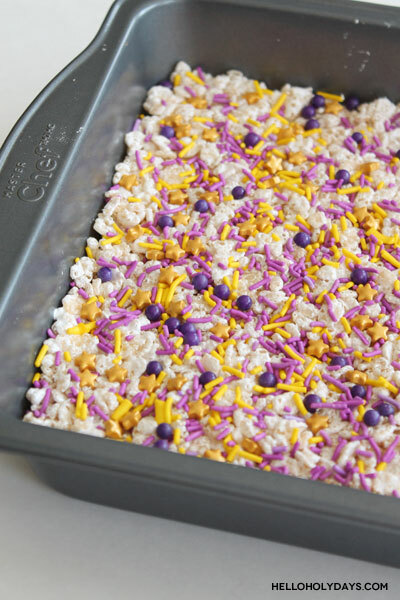 Once you’ve pressed the rice krispie mixture into a pan but before the mixture has cooled, decorate with your custom sprinkles mix. Let cool, then cut into bars and serve.